The newly restored Prouts Neck studio of Winslow Homer reveals secrets of the life and work of one of America’s greatest artists. Winslow Homer’s studio on Prouts Neck looks out across two rocky islands to the open ocean. On the southern wall of the first floor of this studio there is one horizontal window, set at eye level, a luminous rectangle against the dark wooden walls of the room, and through it you can see those narrow outcroppings of ledge slicing an expanse of water. 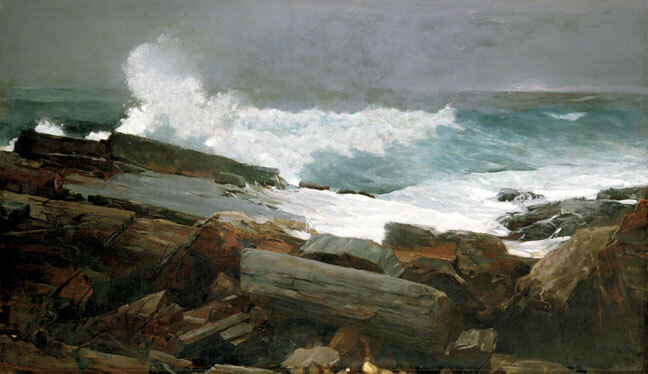 The window is about the size and shape of several of Homer’s magnificent late works — Weatherbeaten, Prouts Neck in Winter, West Point, Prouts Neck — those images of the coast he painted after moving to Maine from New York in 1883. Deborah Weisgall’s work has appeared in the New York Times, Atlantic Monthly, and Esquire. She has written two novels and a memoir.